When used in combination with either sizing or retention agent, this acts as a flocculant, the opposite of formation aid. We use it with colored pulps to get special effects in decorative papers It allows one to use different colored pulps in the same vat and have the individual colored fiber remain distinct. 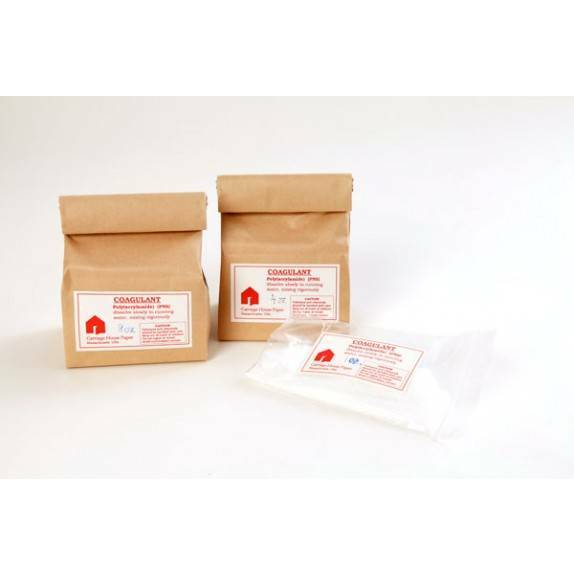 This is a polyacrylamide powder (PNS) which will also act as an excellent, viscous formation aid when no additives are present. We use the PNS for Japanese papermaking whenever colorants are not used.